← Are these books your cup of tea? I remember reading about the fire, and figured the workers’ families was nowhere near reasonable. I knew their general job circumstances were deplorable. I did not know how much the owners profited off these women’s burnt backs. Karen, what a strong and horrible image of the women’s burnt backs. Lynn, this was riveting to read. Are you aware of the critical reception of the novel? And why do you think the author chose to write a fictional account? Just curious! I am just guessing, but I assume Weber wrote a fictional account because she is a fiction writer, and that’s the way she makes sense of the world. I also think her true subject for this novel is not the fire itself, but the creation of story and thus of history, and the role it plays in our lives. 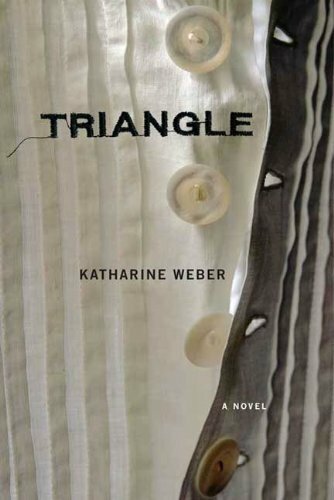 “Triangle” is a strong novel, and no doubt the critical and personal responses to it were strong as well. Even within my book group, it was not each individual woman’s favorite book of all time (if I have a favorite book, I don’t know what it could be), but as a book group it was our favorite because it generated such lively discussion. So much to analyze, debate, examine, parse and reconsider with this novel.